Only a writer would have this dream. 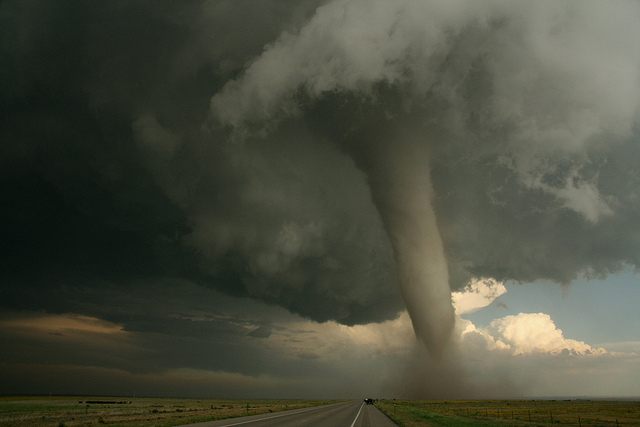 What a freaky tornado! They are so scary! At the moment when all hope is lost I see my laptop a few feet away with practically a halo of light glowing around it. Triumphant music plays. I rush over to it, clasp it in my arms and jump for joy. I do not care that my entire house and all possessions are smashed and broken or just gone. My manuscript, my precious novel is still alive and that is all that matters. Yup. Definitely a dream only a writer would have. Has anyone else had a devastating dream that your manuscript was destroyed or lost?